MUMBAI: Kangana Ranaut is doing everything to make sure that Manikarnika will have an upper hand when it releases on January 25, even if it means pushing Hrithik Roshan's Super 30out of competition. After Super 30 director Vikas Bahl's sexual misconduct allegations were revisited in the recent #MeToo movement in India, Kangana called him a creep and said that Vikas used to tell her about how he used to have casual girls although he was married. 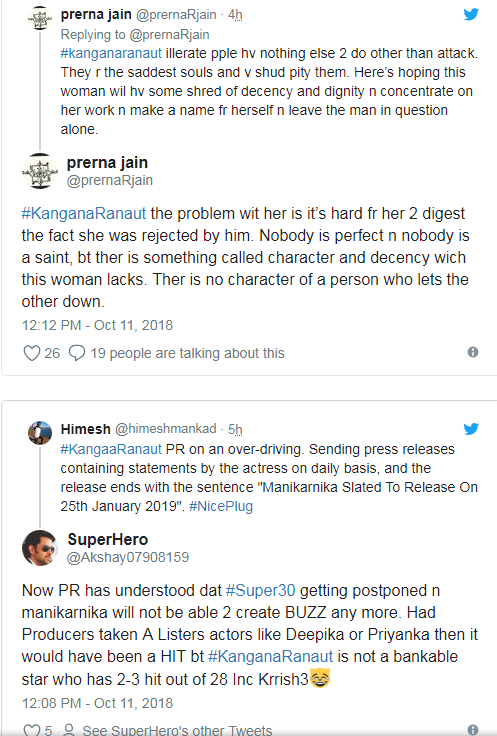 With Hrithik Roshan and the Super 30 team planning to drop Vikas’s name from the promotions and perhaps from the credits, Kangana has now targeted the lead actor of the film. Let’s not forget the history these two have had. While talking to leading publication, Kangana she said that whatever has happened with Vikas is correct and he deserves it. She also went on to say that we have a long way to go and that we need to make this industry safe for women. Kangana had earlier alleged that Hrithik used to date her and tried to sabotage her career out of spite, allegations that Hrithik denied. 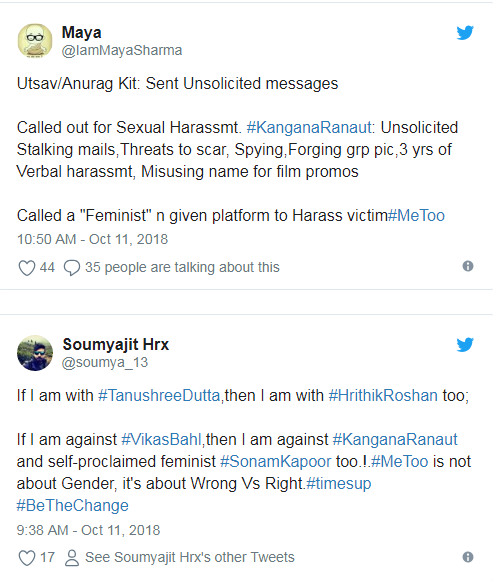 Hrithik fans have taken it to Twitter to slam the actress for her latest statement. We are sure that in the coming days, the battle between Kangana and Hrithik will get uglier. We wonder how Hrithik’s PR will respond to this statement.